Case-6734 - Patrick Sullivan, M.D. This 37 yr old woman said that she has always wanted to have a breast augmentation but she cautioned me about the size. She said that she did not want to be too large or have a very obvious change that her friends or relatives would notice. She just wanted to fit into clothing better. 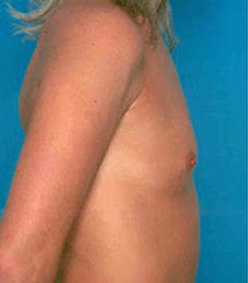 An endoscopic approach was used via an incision in the underarm with implants placed under the pectoralis muscle.